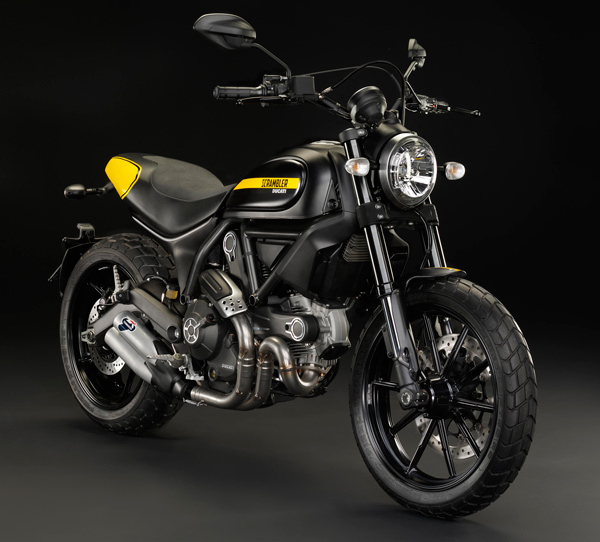 With bold marketing claims of being “more than just a new bike: it’s a whole new world,” the Ducati Scrambler is staging a major comeback. 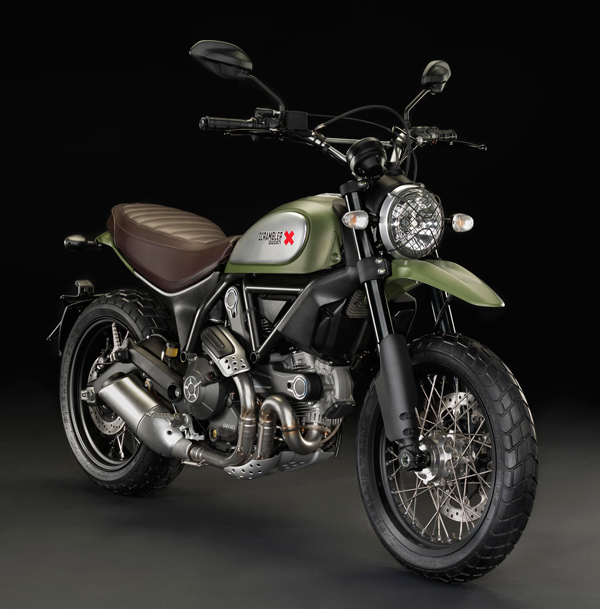 Not just a kitschy plea to your nostalgia, the Scrambler means to pick up as if it had never left off, aiming to be a motorcycle as contemporary as it is classic. The headlamp and tank design remains classically Ducati, with the new additions of a glass parabola and LED side-lighting system. Acceleration and power comes by way of an oil/air cooled L-twin two-valve 803 cc engine, with an 88 mm bore and a 66 mm stroke. 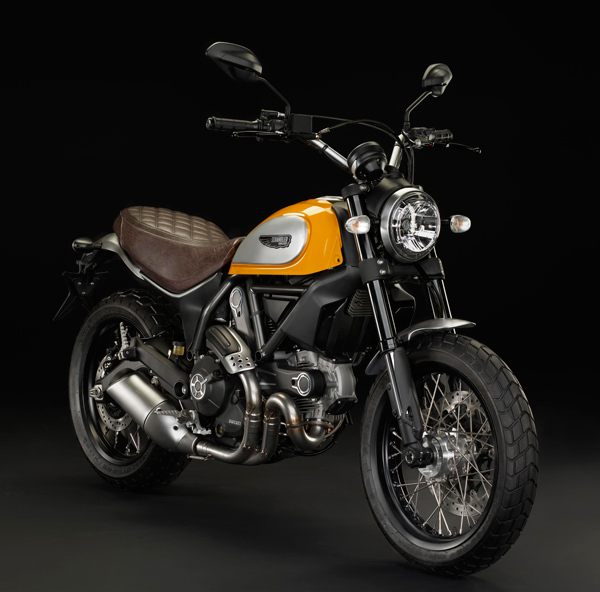 There are several spins on the Scrambler, four versions of the bike in all, allowing room on the road for any sort of rider. Looking for the thrill and the speed of the flat racetrack? The Full Throttle is intended for those who like it fast, while the Classic is aptly named as it is most reminiscent of its old-school 70’s predecessor. The “Wild Green” Enduro allows for smooth transitions between city streets and back roads, and last is the leader of the lineup: the Icon in yellow (shown above). Apparel and accessories to be presented in November, Scrambler on the road and in dealerships by January 2015. Pricing for the Icon starts at $8,495, while all other models start at $9,995.